A fierce behind-the–scenes battle is underway in Europe. The future of all of us is at stake. The head of the European Central Bank, Mario Draghi, an Italian economist, and the Prime Minister of Italy, Mario Monti, both want to implement more radical policy solutions for the euro. Their idea? Use the bailout fund, the ESM (European Stability Mechanism). Give the ESM a license to act as a bank. Let it borrow low-interest money from the European Central Bank (ECB). Then the ESM could directly buy sovereign bonds of Spain, Italy, Portugal and Greece, lowering their borrowing costs. It could even issue its own bonds, using the money to support distressed euro-area governments whose borrowing costs are now excessively high. Basically, Draghi wants to allow the ECB to act like the Fed and the Bank of England, injecting liquidity into a deflationary system that desperately needs it, using the ESM. Had the Fed and the Bank of England not acted thus, using QE (quantitative easing), both the US and UK would be in serious trouble. The Fed may soon engage in a third round of QE, unless Romney wins in November and replaces Bernanke, as he has promised. The truth? It’s the only solution for Europe’s fiscal woes. But here’s the problem. The head of Germany’s central bank, Jens Weidmann, is fiercely opposed. 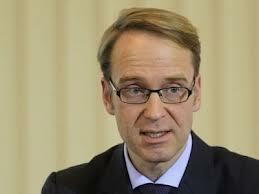 And Weidmann, before he ran the Bundesbank, was German Chancellor Angela Merkel’s chief economic advisor for five years. Where does Merkel stand? Firmly in between. She is very smart and realizes much more must be done than is now being done. But as a politician, she seeks re-election, sees her party’s support declining, and realizes German voters hate the idea of giving more money to the bums in Greece, Spain and Italy. The 27 nations that make up the European Single Market comprise, together, the world’s largest economy. 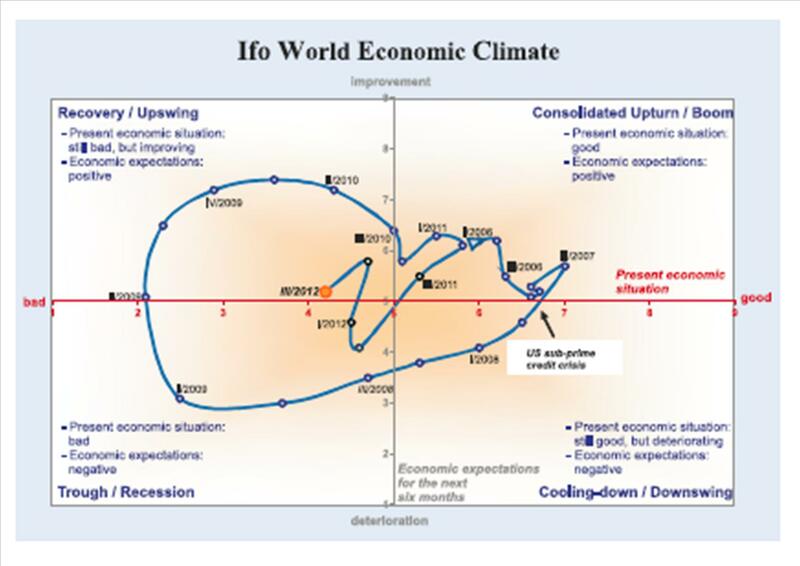 You can see that the world economy has done a loop-the-loop, getting worse, much worse, improving, strengthening…and then, back into another downward loop, as of 2010. The second downward loop in large part reflects the European inability to deal with its euro troubles. The solution is there. But will Angela Merkel have the wisdom and strength to rein in her Central Bankers, Jens Weidmann, and do the right thing, even though she may lose at the ballot box? Stay tuned. As the Luxembourg Prime Minister once said, we politicians know what we have to do. But we don’t know how to do it and get re-elected. Perhaps you have wondered why Russia supports the brutal murderous Bashar Assad, Syrian President? Or why America treats the tyrannical King of Saudi Arabia with more than kid gloves? Or why America looks the other way when Gulf States repress demonstrations for democracy? Cherchez la femme, the French say. But foreign policy experts say, cherchez l’argent…look for the money. A new report by the impartial Congressional Research Service (a part of the Library of Congress) reveals the following: Global arms sales in 2011 reached a record high, $85.3 b., driven by major arms sales to Gulf countries worried about Iran. And America sold fully 80 per cent of world arms, or $66.3 b., the highest annual arms sales ever. But to whom? A package of $33.4 b. to Saudi Arabia, including dozens of Apache and Blackhawk helicopters, 84 advanced F-15 fighters, upgrades for 70 existing F-15 fighters, and ammunition, missiles and logistics. A THAAD Terminal High Altitude Area Defense anti-missile shield to the United Arab Emirates for $3.49 b, as well as 16 Chinook helicopters for $939 m.
Tiny Oman bought F-16 fighters for $1.4 b.
Taiwan bought $2 b. worth of Patriot anti-missile missiles. India bought $4.1 b. worth of C-17 transport planes. Who was the world’s second biggest arms exporter? Russia, a very very distant second, at $4.8 b, or less than 7 per cent of America’s arms sales. Ever since Shaw’s play Arms and the Man, about the folly of war and the hypocrisy of how we treat war, people have complained about how nations and businesses have grown wealthy from war and weapons. 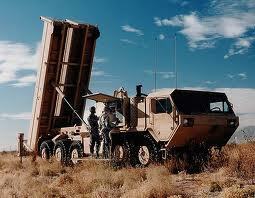 I recommend that Ayatollah Khamenei, Iran’s leader, buy stock in America’s defense companies (Lockheed, Boeing, etc.). The more he threatens the world, the better is their business, the higher their profits. You can’t lose. Jeff Bezos is 48 years old. A graduate of Princeton Univ. 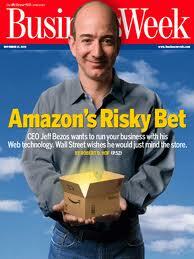 he worked as a financial analyst before founding Amazon. His creativity is worth close study, because Bezos has managed to retain Amazon’s exceptional innovative spirit, time and again reinventing it even though it is highly bottom-line successful. First, he reinvented bookselling, by offering ten times more titles than a bookstore could. Next, he broadened his product range far beyond books, making Amazon into one of the world’s largest retailers. Next, he invented Kindle, and taught us how to carry whole libraries around in a tiny device, while shifting publishing from Gutenberg-era paper to 21st C. eInk. And now? He’s bidding to dominate the Cloud, offering businesses infinite computer power for rent. What Bezos has done is phenomenal: He tells startup inventors, Imagine! Imagine you have infinite computing power, beyond what you could ever dream to afford. Now think of how you could use it. And then – drop me a line, I’ll make it happen. The Joel Coen movie “True Grit” (2010), a remake of John Wayne’s 1969 version, features Marshall “Rooster” Cogburn (Jeff Bridges), who helps a young girl (with ‘true grit’) named Mattie Ross bring to justice Tom Chaney, a crook who killed her father and fled to “Indian Country”. Mattie’s determination, against all odds, wins the day, even though she is tossed into a rattlesnake pit (by the recoil of her rifle) and loses her arm as a result. In 40 years of teaching innovation and entrepreneurship, I’ve known a lot of startup pioneers. By far the most important character trait the successful ones had, in my view, is persistence and grit. True grit gets you to the finish line far more often than Einsteinian genius. Many of the geniuses just give up, because they’re so used to easy success, they can’t grapple with hardship. So I agree with Tough. 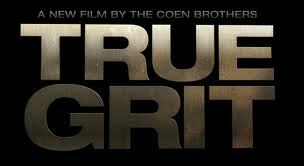 How do you teach true grit to your kids? Mainly, by encouraging them to try difficult things, and not be afraid to fail. Failing, trying again, failing and overcoming big challenges is by definition true grit. And it can be learned. It’s really hard for parents to do this, because we all want the best for our kids and want to protect them from stress, frustration, unhappiness and failure. But you have to let them try, fall, skin their knees, get up, try again..and succeed. On their own. One of Tough’s points has to do with the poor and the rich. The rich give their kids everything, often, so the kids are never really challenged. When they do face difficulties, they’ve never practiced overcoming them. The poor tend to miss out on the true grit drama, not because they lack challenges but because the odds are so stacked against them, they are discouraged from the outset. For example: Today’s Haaretz newspaper reports that over 60 per cent of schools in outlying areas of Israel do not even teach chemistry and physics. What chance then do you have, living in these poorer areas, to become an engineer, even if you have true grit? Study physics on your own? Pretty hard. And why should not the Minister of Education resign immediately, in view of this disastrous statistic? So, the way to really help your children is not so much by sending them to expensive schools, but rather, by encouraging them to test the limits of their potential, in art, music, study, in everything, and celebrate with them failure as well as success. Parents who do everything to protect their children from the frustration of not succeeding are doing them a huge disservice. Tough himself proves his point. He dropped out of college as a freshman, bicycled alone from Atlanta to Halifax, Nova Scotia, then became an intern at Harper’s Magazine and began a great career as a writer and editor. I think the best way to teach your kids True Grit is to practice it yourself. Nothing is more powerful, in teaching, than doing. Americans owe about $800 b. in ‘revolving debt’ (nearly all of that is credit card debt). At a time when 4 million Americans have been unemployed for over 99 weeks, losing their unemployment benefits, this debt is an enormous burden. What few realize is that ‘student loans’ (money borrowed to pay for college) are far larger and more burdensome, totalling over $1 trillion. And guess what? You can escape credit card debt by declaring personal bankruptcy. But student loans? Even if you’re bankrupt, Sally Mae will pursue you to the grave. (Sally Mae, or SLM Corporation) is the largest student-loan lender, has lent to over 25 million students, and proudly declares that it is not in any way related to the US Government. It is a public corporation, run aggressively for profit). And indeed, they often do. According to the bankruptcy act, “U.S. Federal student loans and some private student loans can be discharged in bankruptcy only with a showing of “undue hardship.”” And ‘undue hardhip’ is almost never recognized by the courts. With mortgages, most states have a ‘no recourse’ law. That means, all the mortgage holder (the bank) can do, if you fail to pay your mortgage payments, is to foreclose and take back the house. But student loans? No matter what, you will be hounded to pay every cent, even if you are unemployed, working at a socially-positive low-wage job or working in a poor country as a volunteer. “Sallie Mae turns education dreams into reality for its 25 million customers”, SLM’s website proclaims. Really? More like a nightmare. I know students who have had to decline jobs they truly wanted, because they needed to find salaries high enough to enable them to pay off their student loans. I know ‘students’ who are still paying back loans decades after finishing their degrees. Why? In part because Sallie Mae encourages minimum payments, and the deferred interest piles up into huge debts incredibly quickly. I know students who have studied finance, and still find it nearly impossible to navigate the purposely-unfriendly website that facilitates early payback. Student loans are disgraceful, because they take no account of the students’ major (including low-paying ones). According to NY State official Andrew Cuomo, some universities steer students to ‘preferred lenders’ in return for kickbacks. The Federal Government itself has sued Sallie Mae (!) for overcharging it, and won a large settlement. So much for privatization. Increasingly, college students in the US are squeezed between the bad economy (which makes it hard for parents to pay their tuition) and rising tuition fees. 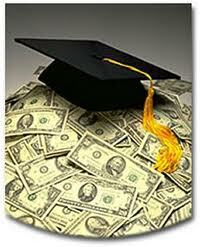 They are tempted into taking loans, which can total $250,000 for four years’ of study at an expensive private college. That sum quickly doubles or triples, owing to compound interest. Right off the bat, at the start of their careers, they are under water with a huge debt burden. That debt drives their career decisions, not their passions or their interests. And there is no way in the world to escape that debt, not even bankruptcy, not even fleeing America. (When you return home, they will nail you to the wall). Europe has a lot of problems, heaven knows. But in most European countries, students go to college almost free. (The UK is an exception, where rising tuition fees are slashing college enrollment and damaging Britain’s future). If you believe that the future of a nation depends on the quality of its human capital, then you have to believe America’s student loan fiasco is an absolute scandal. And the worst part? Nobody seems to be protesting. Because after graduating, the students scatter, and seem to have no way to organize a protest. Can someone organize at least a small protest, perhaps on Facebook, especially at a time when Republicans seem to want to slash higher education budgets even more? It is said that the Irish have the “gift of the gab”. They do indeed. They are wonderful story-tellers and have given the world great writers (James Joyce, for instance). Now, comes the Irish President, who tears a strip off a Tea Party talk-show host. I don’t know about you – but the empty self-contradictory no-evidence-based rhetoric of these people, now led by VP candidate Paul Ryan, is just infuriating. Finally, someone gives it back to them. 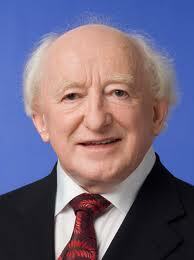 Kudos to President Higgins. Innovator: Don’t Punt! Go For It! This blog may be hard to understand if you are not familiar with American football. David Romer is a Univ. 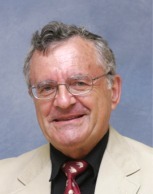 of California (Berkeley) economist, one of the most creative economists alive. In his Journal of Political Economy article (vol. 114, no. 2, 2006, pp. 340-365), he uses the National Football League to show “overwhelmingly statistically significant departures from the decisions that would maximize teams’ chances of winning”, i.e. firms don’t maximize. Here is the story. 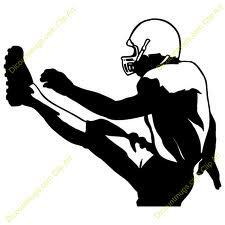 In American football, teams have four ‘downs’ (or attempts) to make 10 offensive yards by passing or running the ball. If they fail in the first three attempts, on fourth ‘down’ they can either kick the ball downfield, to the other team, or try again. If they fail again, the opposing team gets the ball on the spot. The vast majority of football teams punt the ball on fourth down rather than try again to make the 10 yards. Romer analyzes actual game data to show there are “959 cases in which a team kicked [on 4th down] when the difference between the estimated values of going for it and kicking was positive” (i.e. it would have been better to go for it, rather than punt). Is this reminiscent of corporate behavior? Remember IBM’s ad campaign: “Nobody ever lost their job buying IBM”. Nobody ever lost their job playing it safe? False. Nokia and Sony CEO’s, for example. But many CEO’s THINK this is true. Many companies think it is true. Play it safe, nobody can blame you. Take a risk and fail – everyone will blame you. So why try it? Panasonic, Sharp and Sony lost $20 b. last year playing it safe. Well, take a lesson from Kevin Kelley, head coach at Pulaski Academy, in Little Rock, Arkansas. He was hired in 2003 as football coach of the high school team. His team never punts. And last season, the Bruins were 14-0 and won the Class 4A state title. Kelley’s offense thrives, notes Himmelsbach, because the possibilities are endless. Third-and-7 is not a passing down, third-and-inches is not a running down. And G-d help the defense on first and 10, Kelley says, because we can literally do anything. But so far, no NFL coach has dared try it. So – innovators! Think about never punting. Don’t play it safe. That old cliché, you can’t win the lottery if you never buy a ticket, is true. Far too many big companies are playing it safe these days, avoiding all risk. And, in the end, the biggest risk is avoiding all risk. The Nobel-winning physicist Richard Feynman once said, memorably, “Science is just imagination in a straitjacket”. What in the world did he mean? Why would you ever want to put imagination into a straitjacket? Feynman himself surely never did that! 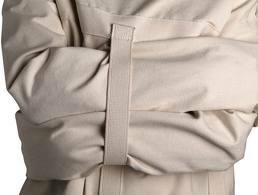 Straitjackets restrain those who are violently psychotic! Yuk. Here is what I think he meant. Imagination alone, that generates wild ideas, is just not enough. Lots of people have imaginative ideas – but nothing ever comes of them. Da Vinci himself was like that. His notebooks, written in left-handed mirror image, were full of amazingly imaginative ideas that were never implemented. Da Vinci himself preferred this, because many of his inventions were weapons, designed to kill people, paid for by his patrons who as city-state warlords fought neighboring warlords; da Vinci didn’t want to kill people. For imagination to be effective, to change the world, it needs to come with constraints. For science, the constraint is the scientific method. You may have a wild hypothesis, but you need to confirm it methodically, in ways that convince your peers that you are improbably right. You need this, so others can replicate what you found. If they can’t – you have screwed up. For innovators, the straitjacket is the set of business constraints – time to market, financial resources, labor hours, management skill, marketing channels – that cannot be ignored. I call this: head in the clouds (imagination), and feet on the ground (business constraints, or the business ‘straitjacket’). That is why successful innovation is imagination in a straitjacket. The trick? Knowing which straitjackets are needed, constructive and real, and which are needlessly self-imposed. So, innovator – let your imagination soar. Create wild ideas. Follow the rule that great ideas are often lost because those who originated them could not bear being laughed at. Let laughter at your idea strengthen, not weaken, your resolve. But as you do this, design the straitjacket for your innovation. Make it answer to the necessary conditions for fast, cost-efficient implementation. Make it live within the constraints of a sustained business. F. Scott Fitzgerald once said that intelligence is the ability to entertain two conflicting ideas in your head without dumping either. If you have both a soaring imagination and the ability to straitjacket it pragmatically, you have a very high Innovation Intelligence Quotient. If Germs and Animals Help One Another: Why Shouldn’t We? The world would be a thousand times better if only more of us helped each other. 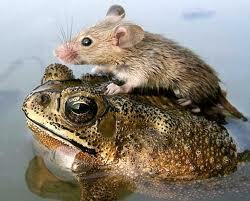 Research has shown that even animals behave altruistically, i.e. help other animals even when they themselves do not benefit directly. Now comes research by a Hebrew U. scientist, Prof. Hanna Engelberg-Kulka, which shows that even bacteria are altruistic. Prof. Engelberg-Kulka has shown that for some bacteria [specifically, one type with the name Escherichia coli], when their food supply falls sharply, 90 per cent of the bacteria spontaneously choose to die, so that the remaining 10 per cent can survive. How does this happen? (No, it’s not a Mother Teresa brain that recites, “it is a far far better thing I do…”, or “in my death, my life finds new meaning”). Simply this – each bacterium has genes that produce a toxin (that kills it) and an anti-toxin (that neutralizes the toxin). When the food supply declines, these genes stop working. They turn off. The anti-toxin deteriorates faster than the toxin. So mostly the toxin remains, and kills the cell. It is, of course, evolution that is responsible. An accidental mutation created this effect, and the bacteria who luckily had it survived while those who didn’t disappeared. If bacteria find that they need to sacrifice for others in order to survive, if our planet faces shrinking resources and food supply, and if we humans need to help one another to survive by sharing resources more equally – why don’t we? Why aren’t we are smart as bacteria, that don’t even have a brain? And is it still true that human societies that are more selfless, more altruistic, more giving, will prevail and endure over societies built around Wall St. avarice and greed? The jury is still out on that one. ﻿﻿﻿﻿Rise and Fall of Nations: Is China Next? Rise and Fall of Nations: Is China Next? 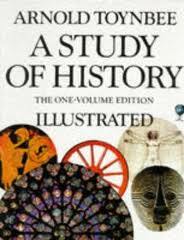 The historian Arnold Joseph Toynbee wrote a monumental 12-volume history recounting the rise and fall of civilizations (A Study of History, 1934-61). It took him 27 years. Toynbee was also a consultant to the British government on the Mideast and was hostile, to say the least, to the Jewish state. Toynbee’s main themes were: a) all civilizations rise, flower and then decline, inevitably, and b) nationalism, modern statehood, is a ‘false god’. The Japanese property bubble burst in 1990 and ended Japan’s reign, beginning two decades of Japanese stagnation. As Prestowitz notes, Amazon, Apple, Google and Samsung have pioneered the Kindle, iPhone, Android, Galaxy and advanced semiconductors, while Sony, Sharp and Panasonic lost $20 b. (together) last year. There are signs South Korea has embraced Japan’s old winning model and used it to capture markets Japan once ruled. While once-innovative Japanese companies like Sony now shun risk, Korean companies innovate boldly and challenge even Apple. Samsung now sells more smartphones than Apple. The decline of Japan was accelerated by the rise of the yen, from its once-cheap level of 360 yen per dollar to today’s 79.5 yen per dollar. This, more than anything, sank Japan. Note how China and Korea have learned this lesson and have aggressively bought dollars to keep their currency cheap. The big question is, are we now seeing the beginning of the decline of Europe, America and China? The financial crisis of 2007-11 continues; all America has done is shift bad debt from banks’ balance sheets to the government’s (and the taxpayers’) doorstep. Europe’s dysfunctional leadership is incapable of meaningful action. And China – its perilous reinvention of itself, from export-driven to middle-class consumption-driven, has only now begun, and may well not succeed. When the four largest economies of the world – America, Europe, China, and Japan — struggle, the rest of the world struggles, too. Out of this mess, and out of all the countries in decline, which countries will rise and flourish, according to Toynbee’s model? Can any nation flourish when most of the world is stagnating?